Properties in Hounoux average 4.8 out of 5 stars. 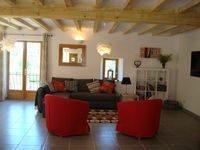 Property 17: Charming cottage in a green setting in absolute calm for 6 to 11 people. in a historic Cathar village house of 120 m2 + terrace for 2-11 pers. Property 20: in a historic Cathar village house of 120 m2 + terrace for 2-11 pers. Family-friendly Barn conversion in Cathar Country, near Mirepoix. 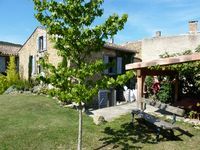 Property 33: Family-friendly Barn conversion in Cathar Country, near Mirepoix. The pictures do not do this home justice. It is simply perfect! The location is amazingly central to everything that one would want to get to....Hopefully we will have a chance to come back! This old stone cottage in a small village is a gem; comfortable, well furnished, and in a beautiful area. Local information from Marc and a greeting and orientation from Alain were both excellent. We ventured in a different direction each day and particularly enjoyed Mirepoix and its restaurants and Monday market. Special thanks to Alain.